Pre-fermentation Techniques: Grapes are left to dry gently in well-ventilated rooms with humidity control for 2-3 months. The viticultural story of the Tessari family begins in the early 1900s. 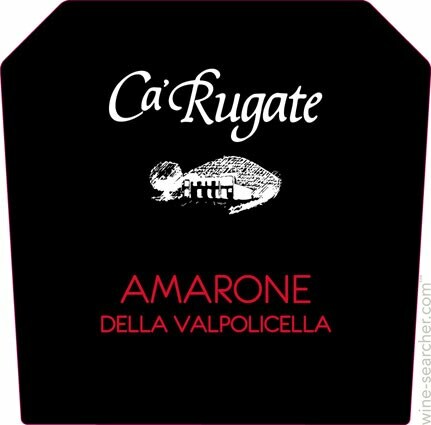 The estate has been called Ca’Rugate since 1986, taking its name from the volcanic hills on which the vineyard are found. The Ca’Rugate vineyards cover 58 hectares, 35 of which are located within the commune of Montecchia di Crosara in Valpolicella. 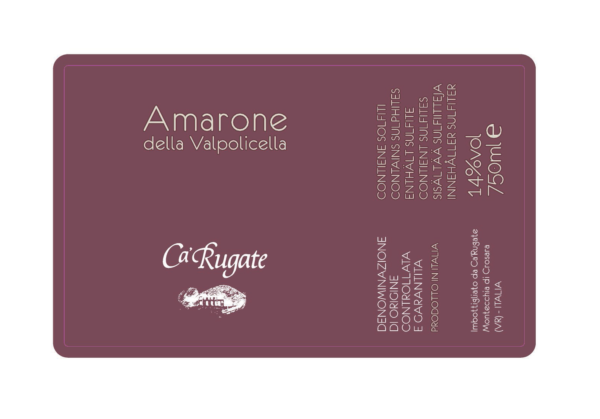 An elegant Amarone displaying an aromatic profile of baked raspberry pie and roasted plums, with spice box, chocolate fudge and fig newton notes intertwined to reveal soft tannin and a touch of tar on the finish. "Light, fresh and bright with blueberry, dark chocolate and walnut aromas and flavors. Medium body. Crisp finish."